Little action this week in the upper echelon of the chart, but several big movers below. Lady Gaga’s “Gypsy” makes the biggest jump, up 41 to #27, followed by Elizabeth & The Catapult’s “Shoelaces” (up 29 to #46) and Stromae’s “Tous Les Mêmes” (up 24 to #22). Foster The People leads a set of fourteen debuts with “Coming Of Age” at #28; lower debuts include another track from Beyoncé’s self-titled album and two tracks apiece from Switchfoot and Katy Perry. 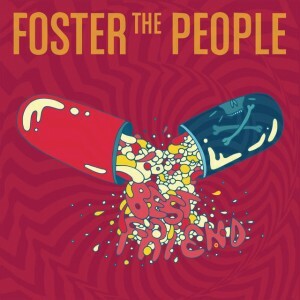 It’s a busy week within the top ten: Foster The People’s “Pumped Up Kicks” ascends to the top three, with “Shake It Out” by Florence + The Machine just behind. Three songs enter the top ten: Hedley’s “Invincible,” Coldplay’s “Paradise,” and Gotye featuring Kimbra’s “Somebody That I Used To Know.” Sara Bareilles and Ryan Tedder return to #15 with “Gonna Get Over You,” which first charted last fall, while Switchfoot’s “Restless” is the top new entry at #17. Foster The People enters the top ten, while Lady Gaga’s “Yoü and I” moves 27-13. Evanescence returns with a new song, “What You Want,” that is the week’s highest debut at #24. After a record-breaking 22 weeks at the top, Adele’s “Rolling In The Deep” slides to #2, making room for…Adele’s “Someone Like You.” Switchfoot and Foster The People reach the top ten with “Dark Horses” and “Helena Beat.” Marc Broussard has the biggest mover with “Cruel,” up 41-17, as well as the biggest debut with “Let Me Do It Over” at #38. In a fairly quiet week on the chart, Jason Aldean and Kelly Clarkson re-enter the top ten, while Adele’s live cover of “I Can’t Make You Love Me” jumps to #14 (ahead of a falling “Set Fire To The Rain”). 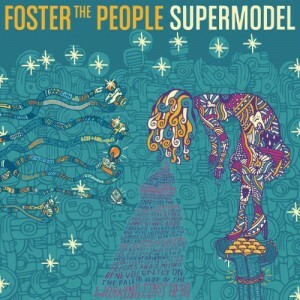 Foster The People has the highest debut.